Your glutes are made up of 3 muscles. Of all three, your gluteus maximus is the only externally visible muscle. 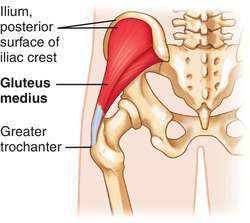 The glueteus medius and gluteus minimus are located under the gleuteus maximus. Your glutes are the largest muscle on your body and proper glutes training will help to grow them larger and provide a “lifting” to their appearance. Deadlifts and squats are two of the most popular, and arguably the most effective, exercises for glute development. 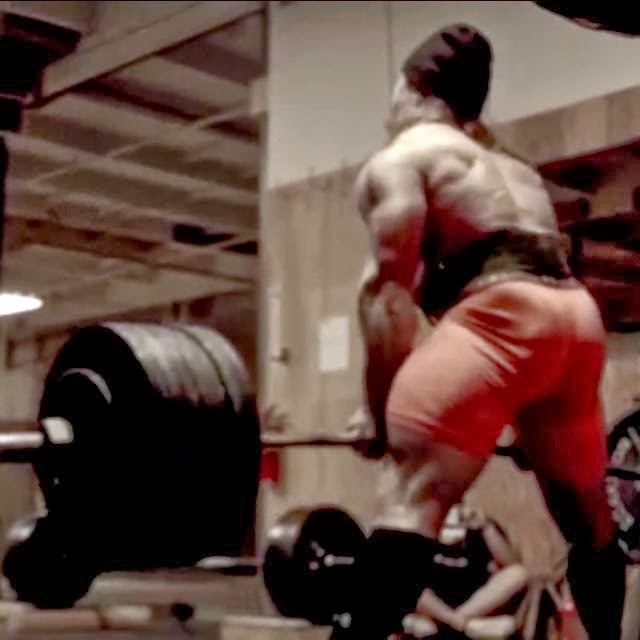 If you ever notice powerlifters with large glutes, chances are they squat and deadlift almost daily. The hip extension of a traditional deadlift includes a hip extension that directly targets your glutes. A sumo deadlift trains your glutes by adding a lateral rotation on top of the hip extension found in tradiational deadlifts because your outward pointed feet in the exercise cause a lateral rotation of your femur. Performing the back squat (either high bar or low bar) will also activate your glutes. As you squat deeper, the back squat will activate your glutes more. Also, try to point your toes slightly outward, this will create some lateral rotation of the femur, also helping to boost glute activation. A more challenging exercise that also helps is split squats. Although difficult to perform and very strenuous, split squats will definitely benefit your glutes. The exercise really activates your glutes’ hip extension . Barbel hip thrusts work the hip extension aspect of glutes training. They can be a little awkward to perform at a gym, but they will definitely help you add size and strength to your glutes, in addition to boosting your squat and deadlifting capabilities. A popular exercise among women is glute kick backs. Like the other exercises, this exercise will hit your glutes through the hip extension movement. As you can see in the video, you can add weight to this exercise to increase resistance. Lastly, monster walks are a great exercises to begin or end your leg and glutes training with. They will cause your glutes to activate their abduction movements and helps to round out the rest of the glute and leg exercises as either a warm up or a burn out exercise at the end of your workout.